Boiler installations can be very complicated and expensive. So it’s important you have all the information before making any decisions regarding buying a new boiler. Here are things to think about when buying a boiler. 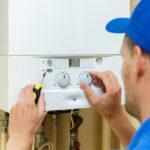 The more reliable your boiler is then the less unexpected costs you are likely to need on expensive repairs. We recommend doing research on the experience boiler owners have had with certain boiler manufacturers so that you will have a good understanding of which brands you can trust. Do not risk being left with cold showers and a cold home by going for the cheapest boiler you can find because this means it could be lower quality and lower manufacturing standards. What Type Of Boiler Will Suit Your House? Combi boiler- These heat water on demand and do not require a separate storage tank. 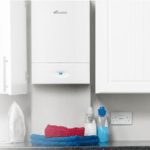 These are better suited to small or medium sized properties, combi boilers are the most popular type of boiler in the UK as they are compact and very easy to install. Conventional boiler- These are also referred to as heat only, they require a hot water tank or cylinder. This is where hot water is stored for later use. If you have a larger home with an even higher demand for hot water or more than one bathroom. A conventional boiler could be the best option. They do tend to be more expensive to install however and they do take up much more space. Systems boiler- This is a more efficient alternative to a conventional boiler for a house which may require a stored water cylinder. With more components actually installed, system boilers are a lot easier to install than a conventional boiler. And take up less space. They also feed hot water to many outlets at the same time. 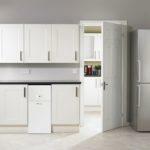 This means they are ideal for larger homes with higher demands. If you have an old model boiler, that is over 15 years old, then replacing it with a much more modern gas-condensing boiler could help you save money on the energy bill. 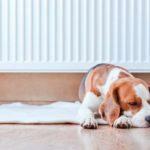 Heating makes up for around 60% of the yearly energy bills. So having an efficient boiler is really important. All new boilers are condensing. Meaning they have a large heat exchanger to recover more heat from hot gases. Sometimes the flue gases can get so cold that the water vapour in the gas condenses out, this means even more energy is recovered.